Speed is synonymous with Oregon football. The Ducks do a fantastic job in maintaining that connection by recruiting athletes who fit their fast-paced style of offense. Last year, of the top five players signed by the Ducks, all but five-star Canton Kaumatule were on the offensive side of the ball. With the stockpile of speed and explosiveness in the Ducks offensive arsenal, Oregon should look to build up the defensive side of the ball; so far it seems the Ducks are doing just that on the recruiting trail for the 2016 class. Just in terms of scholarship offers, Oregon has made offers to 19 defensive ends, 4 defensive tackles, 17 linebackers, 6 cornerbacks, and 5 safeties. That’s a total of 51 offers on the defensive side of the ball alone, 40 coming from the front seven alone, and it’s certain that more will come as the season gets underway. For comparison, the Ducks have offered 29 scholarships for offensive positions. With defensive offers nearly doubling offensive ones, Oregon seems to have shifted its focus to the defense, and specifically linebackers and the D-line. Much like Kaumatule of last season’s recruiting class, Rochester could help anchor the defensive front if he becomes a Duck. But since he is considered a Georgia or Auburn lean, what else can Oregon do to bolster its front seven? 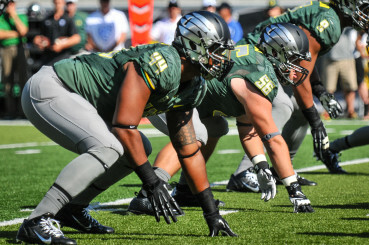 Well, help could come from a three star defensive tackle with no offer from the Ducks — yet. Ross Blacklock from Elkins High School in Texas stands 6-foot-3, weighs 326 pounds, and currently has no scholarship offer from Oregon. That hasn’t stopped Blacklock from having high interest in the Ducks. 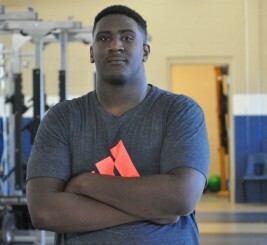 “I have big interest in Oregon, I would say they are in the top three to five range right now. Obviously an offer would be big and boost them up the list.” Regardless of his star ranking, Blacklock is a large body that could help the Oregon defense become larger and more physical up front. Currently, only two Ducks are listed over 300 pounds on the current roster, so adding someone with Blacklock’s size could be a big signing (no pun intended). When you watch film on Blacklock, it isn’t his size that jumps out at you; it’s his explosiveness. He stays low for the most part and doesn’t seem to rely on size alone to be effective. He has a knack for quickly recognizing if it is a run or pass play and can defend both well. Listed as a defensive tackle, he also routinely lines up at defensive end, which shows even more how good of an athlete he is for his size. 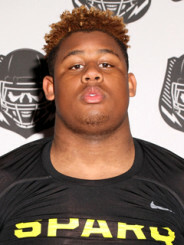 His size is perfect for a 3-4 nose tackle, and his versatility is perfect for the Oregon system. 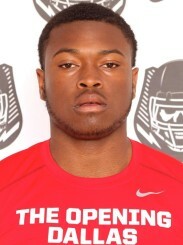 Blacklock should be a great fit for the Ducks, and it’s time they sent an offer his way. DeForest Buckner (44) and Alex Balducci (56) will be gone after next year. 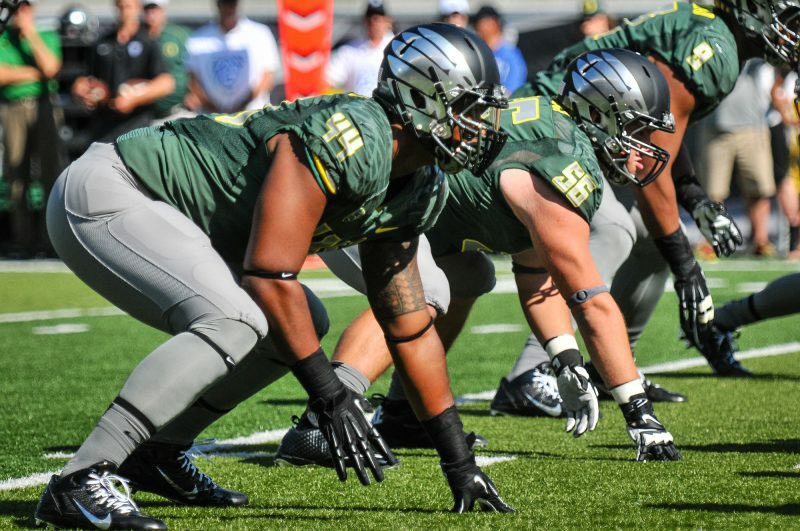 Currently, the Ducks have three seniors on the defensive line in DeForest Buckner, Alex Balducci and Tui Talia, with all three expected to see significant playing time this season. Last year the Ducks signed four defensive linemen, headlined by five-star freshman Kaumatule, and they seem to be employing the same strategy this time around. So far, Oregon hasn’t managed to get a verbal commit from a D-lineman for the 2016 class; but with 23 offers to the defensive line, and more possibly on the horizon, it’s more than likely the Ducks will sign at least one. The other area of need — and probably the biggest — is the linebackers. The group is filled with juniors and seniors, and the Ducks weren’t successful in adding more long-term solutions in last season’s class. Oregon signed three linebackers, hard-hitting Fotu Leiato and two junior college players Paris Bostick and Jonah Moi. Leiato will be the only freshman on the roster next year, and by 2016, 11 of the 16 current linebackers will be gone, so the need for linebackers in this class is paramount. There is no doubt in my mind that the Ducks will be just fine talent-wise at linebacker for this upcoming season, but there is a clear need for more bodies and depth moving forward. One linebacker has already set a date for an official visit to Eugene, which is good news for the Ducks and Duck fans alike. Three-star inside linebacker De’Jon Harris from Marrero, Louisiana is set to visit campus on Sept. 26. Harris stands 6-foot-1, weighs 230 pounds, runs a 4.67 40-yard dash, and also plays running back for his high school team. Personally, I like it when linebackers also play running back, because it usually gives them a good knowledge of blocking schemes and running lanes, which allows the defender to read and react more quickly. Based on his tape, Harris seems to prove that true; he has a quick first step, fills the lanes effectively, and is physical shedding blocks and making tackles. 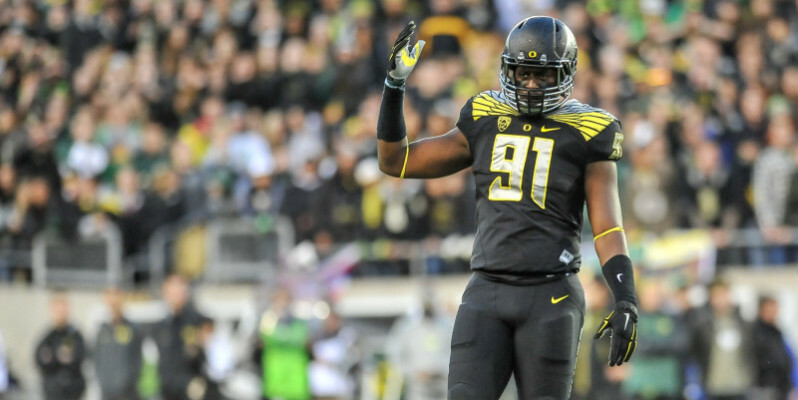 He could be a huge get for the Ducks as they start to rebuild their linebacking corps. All in all, the Ducks have had a good start this recruiting season by getting verbal commitments from seven players to date. But with in-state safety Brady Breeze being the only defensive player committed at the moment, there is still much more work to do in order to improve the defensive line and fill the needs at linebacker. Thanks to Duck Territory at 247sports.com for sharing this information with FishDuck.com; check out their trial subscriptions for the best up-to-date daily information on Oregon recruiting.